Kids can be cruel. When he was younger, BHS alumnus Logan Davis was made fun of for his love of computers. Some of the names he was called were dehumanizing, implying that he was more like a robot than a young man with aspirations different from many of his fellow students. A self-professed nerd, Davis dedicated his time to writing computer code, manipulating data, and falling in love with a genre of music that has ultimately allowed him to embrace his linear side. The result is now manifesting in a unique music style that uses artificial intelligence and his own creativity to tell stories that impact listeners. In middle school, Davis began researching how electronic music was made. Although limited by his equipment, he worked with MilkyTracker, a program that taught him the basics of music. Although it was technically music, it did not have mainstream appeal and was too underpowered for the more complicated music he wanted to create. 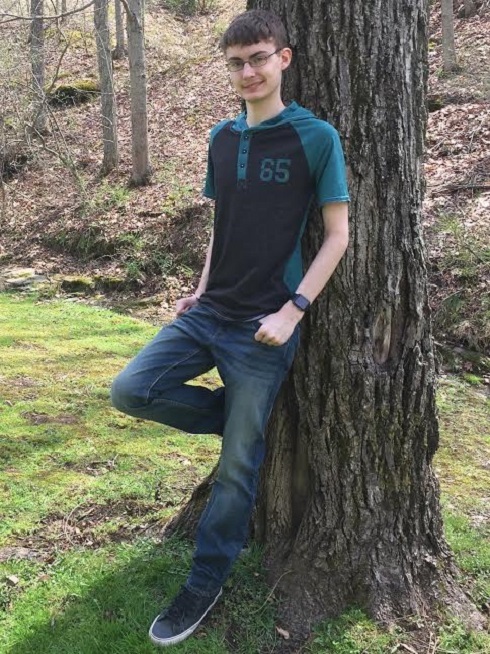 Throughout middle school, Davis used his talents to DJ social events, a hobby he pursued throughout high school as well, showcasing his skills at dances, bonfires, talent shows and more. Some classmates were still making fun of him for his music, but mostly, people were starting to notice him as a budding genius in computer-generated music. As his equipment and programs advanced, Davis was able to create more complicated songs, more reflective of his vision. He closed out the 2014 Benedum Festival showcasing his new pieces and he became recognizable for his unique talent among fans in our area. By the time he was a junior in high school, he was well on his way to developing the type of music made possible by his vision and the most recent programs on the market. His newest release is the result of his collaboration with a computer program he developed in college as part of an assignment. After ten attempts, the program, which he named Cypher, finally worked. A lover of science fiction movies, Davis had always loved the idea of working with artificial intelligence and noticed that his program seemed to have a mind of its own, varying its response to commands as if it were human. He discovered that with his storytelling and musical skills, he can work with the artificial intelligence and create a unique sound. After deciding to start making music under the persona of the artificial intelligence, Davis played around with the program he created and decided to go by the name “Psypherix.” His first song, “Endless Storm,” was just released and is available to stream or purchase digitally. It will be part of an upcoming album that will feature his latest creations. Davis’s music and social media links can be found at http://fanlink.to/bmxi.